I am pleased to release play-swagger - a Swagger spec generator for REST APIs built with Play Framework. 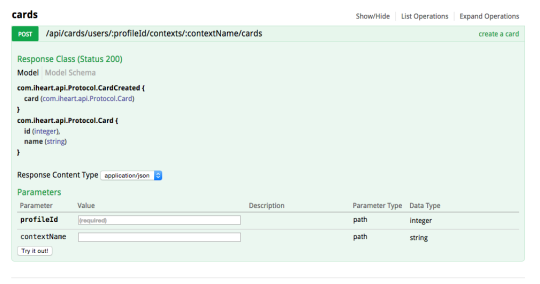 It generates swagger specs from play route files and case class reflections without the need for any code annotation. When documenting an endpoint, it should be just swagger specification that you need to write. You shall not need to learn another API or spec format. Override anything in either the swagger spec in comment or the base swagger spec file. Here is a simple example that demonstrates how iheart/play-swagger works. You write the following swagger spec in comment. Any feedback/contribution will be greatly appreciated!